The Pizza Press is proud to kick off our Sodas for Causes philanthropic initiative by supporting Cancer for College. 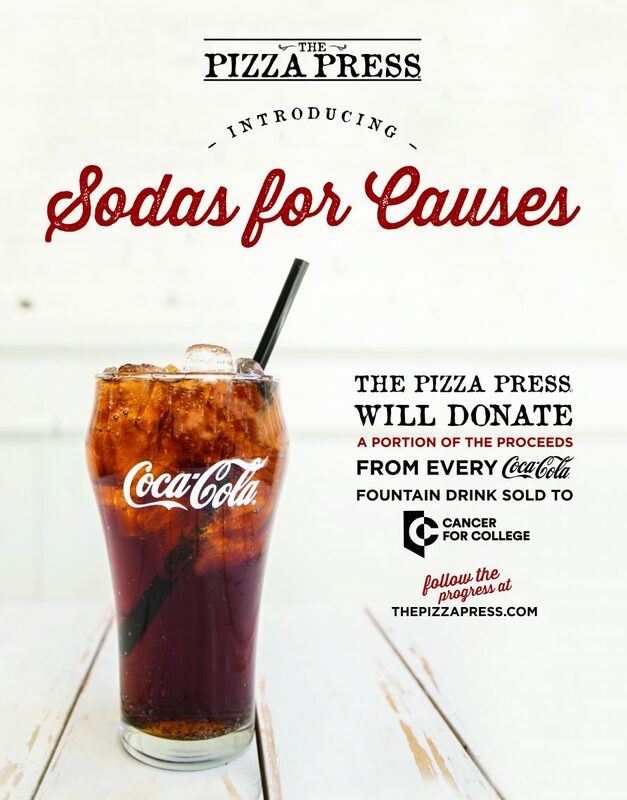 The Pizza Press will donate a portion of the proceeds from every Coca-Cola Fountain Drink sold from April 2018 – April 2019 to Cancer for College, providing hope and inspiration to cancer survivors by granting college scholarships. Follow the fundraising progress over the course of the year on our website, and thanks for helping us Fight for Survivors with Soda!